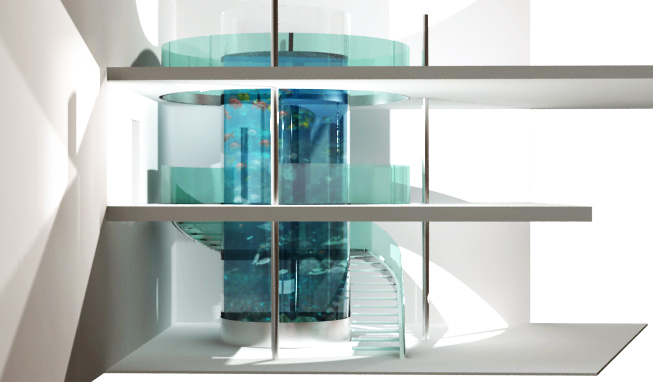 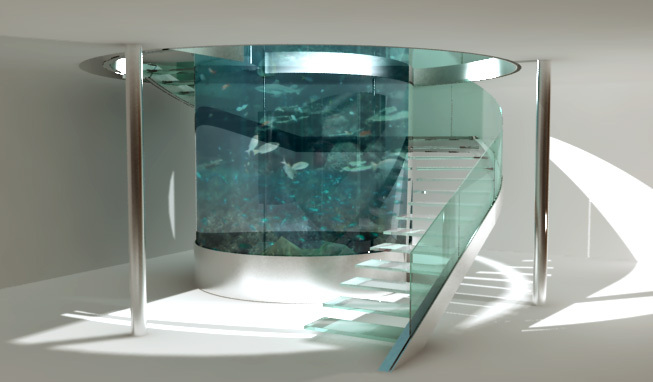 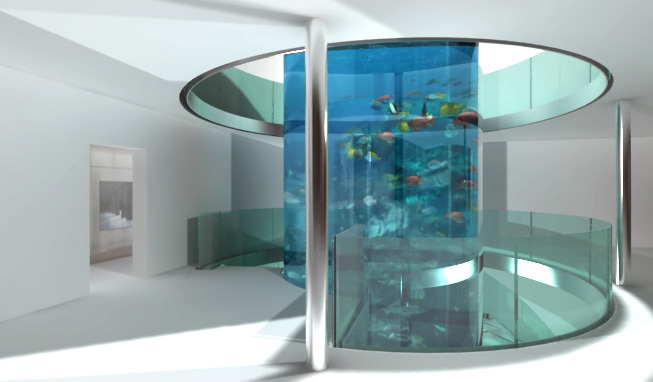 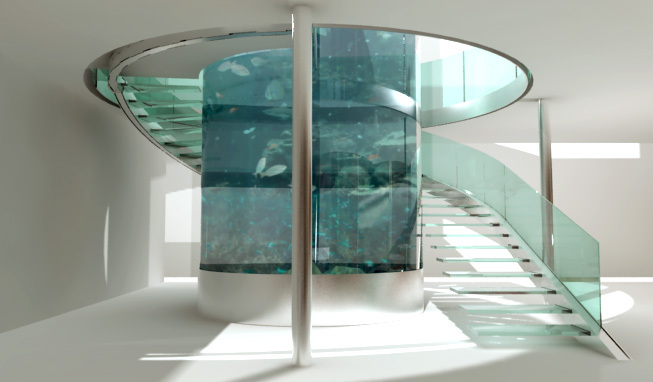 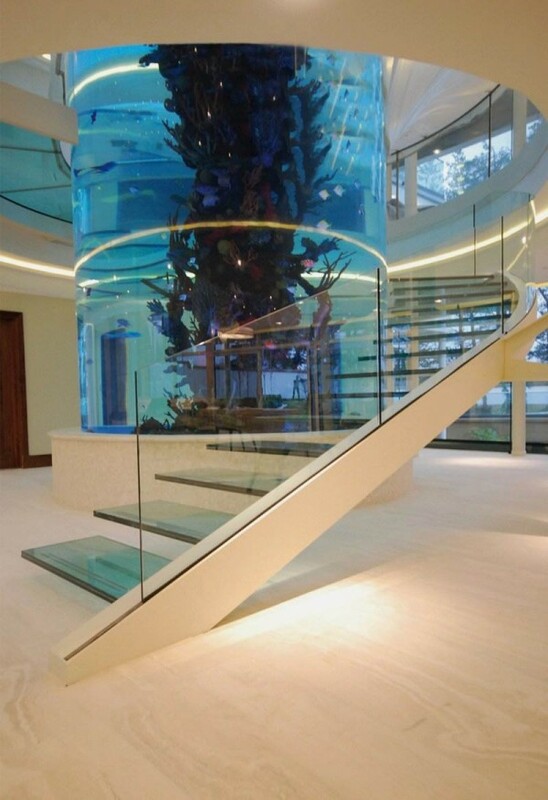 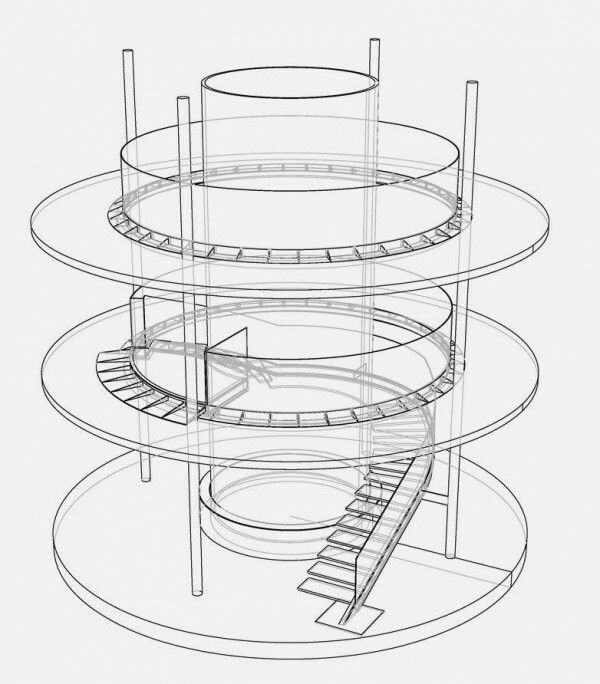 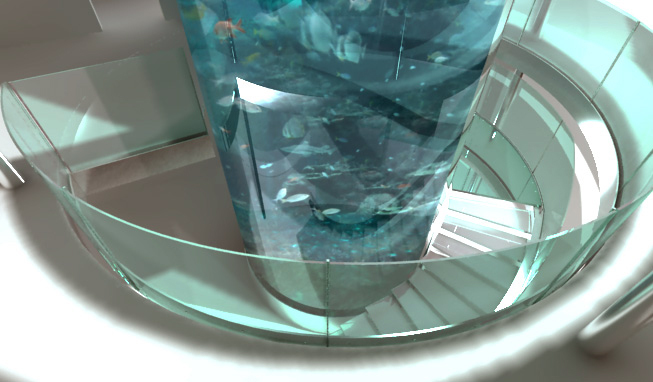 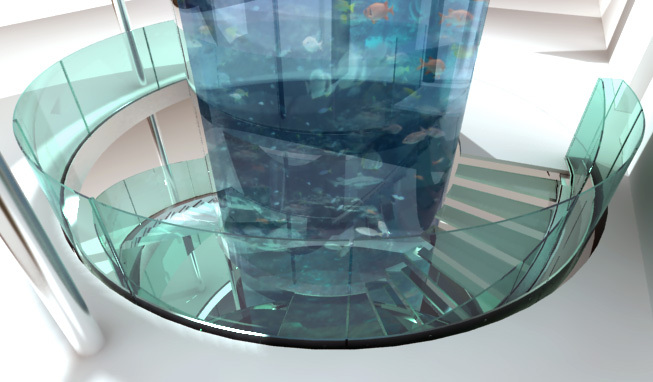 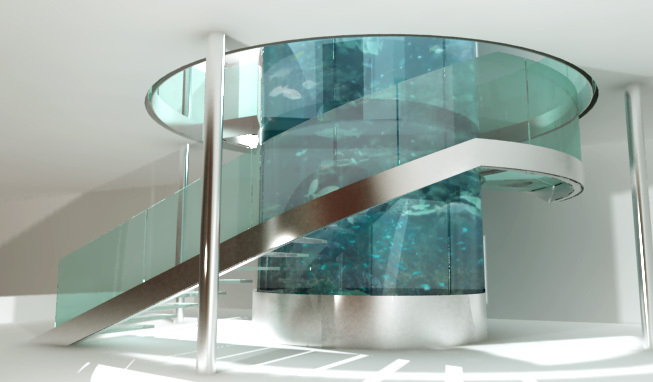 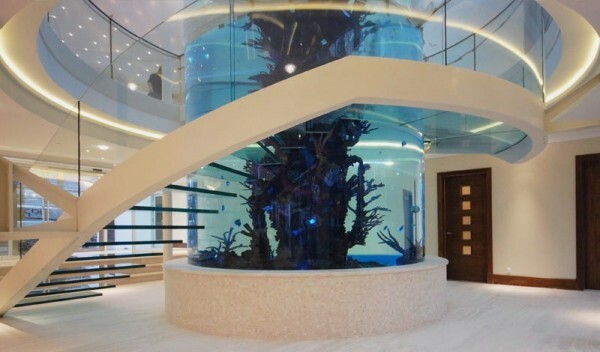 This is an amazing staircase designed by Diapo, a cantilevered glass helical staircase with large cylinder aquarium at the center of the staircase. 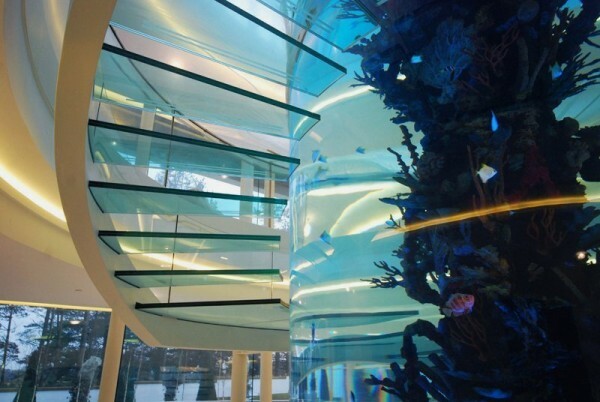 The aquarium decorated with coral that formed like a pillar, bring an amazing view to people who use the staircase. 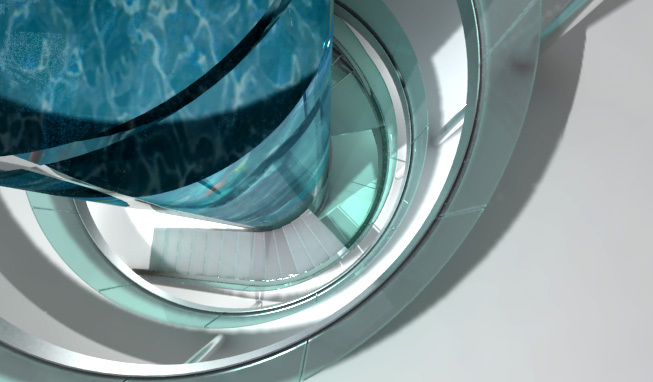 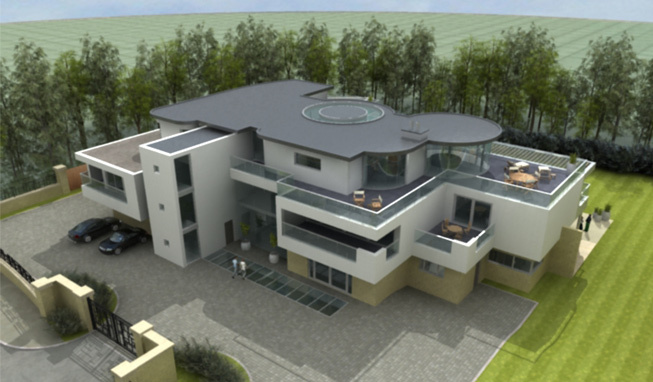 This stair built from a single steel helical stringer with glass treads and balustrade, designed in modern design. 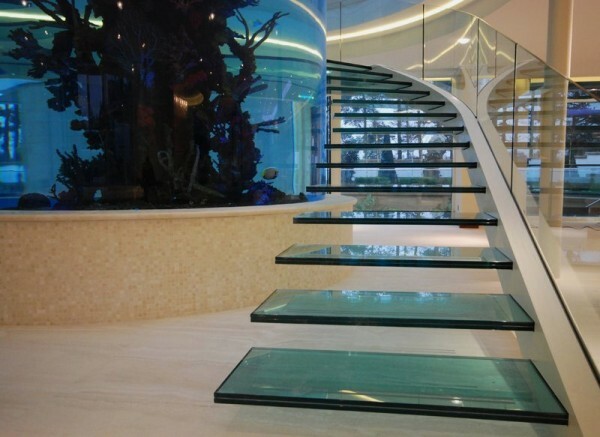 It use 40mm thick heat soaked toughened laminated glass in wedge shape for the treads, inserted through the stringer from the outside edge of the stair and held in place using high modulus silicon and nylon packers. 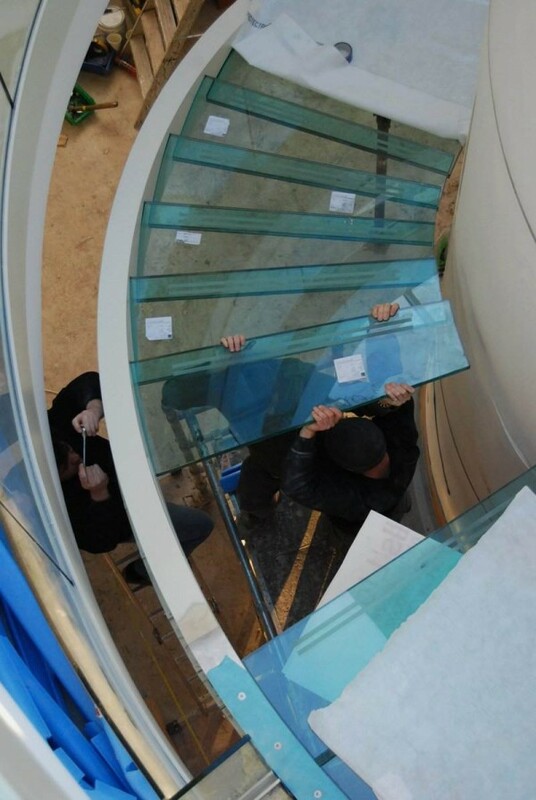 For the balustrade, they use 15mm thick of heat soaked toughened laminated glass. 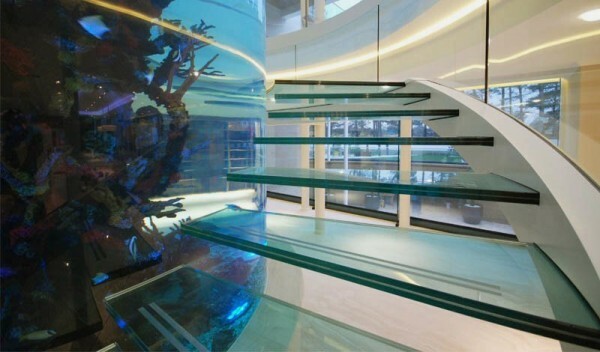 This staircase is great and make the interior looks amazing.